Have you ever wondered how would you do on extreme conditions? Something like, let’s say, the zombie apocalypse? In a way, we all have fantasized about having to challenge our survival skills when the rise of the zombies throws human kind into one of those dystopian fictions we’ve seen so many times on movies and TV, where some “regular” people have to survive the most severe conditions with almost any tools, and watching the ones who don’t survive, we thought that in that kind of situation we would have been able to walk away alive. The zombie apocalypse is not a reality –yet–, but the question remains, how would we feel about experiencing similar challenges? 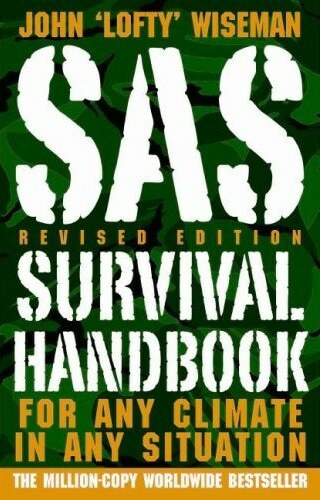 Not necessarily zombies, but having to go through extreme natural environments with just your skills to overcome them. After all, how hard it can be? For most people this will remain as a fantasy, but many others still have those questions on mind and are much more determined to test their survival skills. 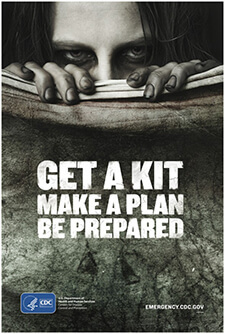 If you’re one of those, the first thing you need to do is to acknowledge how heavy this experience can be and that it could be much more harder than what you’re expecting, therefore, you need to learn and improve as much as possible your survival skills in order to survive nature –and zombies! If you’re willing to improve your wilderness survival skills these are the best survival schools in the country to do it! ALSS was founded in early 90’s by Cody Lunding, famous for Discovery’s Dual Survivor Show. Their most popular program is “The Nothing Course”, a tow-days program based in developing primitive skills, taking their students into the wild with just their clothes in their backpacks. Students will need to make their own shelters out of what they find in the woods, make fire by friction. This school is managed by Tony Nester (survival guru) since 1989. It has become one of the greatest survival schools in the country; even it’s one of the first options for U.S. Military when it comes to desert survival training. The main purpose of the Ancient Pathways teaching method is help you take advantage of natural resources with a minimum of gear. This survival school has courses on wilderness survival and sustainable living schools. They offer a variety of options that go from one-day classes to week-long programs that will prepare the participants in different aspects, such as survival skills applied to natural disasters, wild edible and medicinal plants. Bear Grylls has built himself a name into the mainstream media with his controversial TV show for Discovery Channel Man Vs. Wild. Grylls founded his own academy in april 2014 with courses that where designed by Grylls himself and will be conducted by members of Gryll’s team. These courses are focused on teaching the participants several skills to survive on remote circumstances, such as lighting, and foraging for food. Despite the Boulder Outdoor Survival School was founded with the idea of helping kids to improve their grades in the late 60’s, it has become in one of the best options in Southern Utah, teaching survival skills with as little equipment as possible in their variety of programs that goes from three-day to three-month classes. Earthwalk Northwest courses teaches their students to survive in the wilderness with ancestral living skills, such as bow making, fire by friction and finding wild edibles. The philosophy of EN’s method is based in developing a connection with nature. Their teaching methods are categorized into four classes: Ancestral Skills Apprenticeship, Ethnobotony Apprenticeship, Path of the Hunter and Day, Multi-day and Custom Classes. If you’re concerned about getting college credit this is the option for you. At Jack Mountain Bushcraft School you’ll find from one-day workshops ($125), a week-long class ($800), to the one-year long program focused on winter survival and wilderness canoe expedition. This school uses the same principles as Tim Brown’s Survival School. Based in the “primitive training”, the Maine Primitive Skills School teach its students basic hunting, water collection and first-aids and then advance to the next level where the students will have to face more severe conditions. With Tom Laskowski as instructor, the Midwest Native Skills Institute offer immersion programs where their participants can experience a remote expedition that will teach them the basics of primitive living skills. They have several programs that goes from two-week expedition to yearlong immersion programs. At Mountain Scout Survival School you’ll get to learn the most basic skills to survive if you get lost in the woods. Shane Hobel (trained by Tom Brown from Tracker School) is the head of this school and the offer several one-day classes with prices from $60. The most popular course from Mountain Sheperd is the Humble Thunder ($550), taught for graduates from the U.S. Air Forces. In this course the students will have to face nature with a map and a compass and they will need to improvise their own shelter to withstand different weather conditions. In the Primitive Survival Skills, the former Navy Seal Madison Parker use his own experience to teach civilians all the survival skills they will need to survive and enjoy a complete outdoor experience. With the PSS courses, the participants will be able to learn how to make fire, and create tools that will make easier their experience identify edible trees and plants. Sigma 3’s method is based in the most basic idea: The main goal of survival is staying alive. Sigma 3 provides training in different areas to help their students survive, not only in the wilderness but also in their daily lives. The subjects of Sigma 3’s methods are based in a wide range of subjects that includes wilderness survival, scout skills, bushcraft, tactical training and much more. All of their courses start off easy, but the difficulty will increase as you advance through. Dr. Frank Hubbel is considered to be the pioneer of wilderness medicine and he’s also the founder of SOLO Southeast, a school of survival that has trained over 120,000 students since its foundation in 1976. This school is focused in the medical aspect of survival training, teaching the participants how the basics of first aid training by simulating major emergencies. Also, the students will also be able to learn how to survive in different circumstances with the variety of SOLO Southeast courses. This is one of the most completes courses in the list when it comes to climates and seasons. Because of its location (between Mojave Desert and the Tehachapi mountain), the Survival Training School of California can teach you to survive in different weather environments. The price for the one-week long course is $1050, but they offer discounts for groups. The Anake Outdoor School is part of the Wilderness Awareness School, a non-profit organization based in the idea of improving the human connection with nature. As for survival training, The Anake Outdoor School has many programs, but you’ll need to go through a physical examination due to the intensity of this training. The Human Path focused on self-sustainability to their students, teaching their students a set of functional skills that are helpful in the most extreme conditions. The method used to teach these skills are a variety of outdoor lessons on topics that include herbalism, primitive engineering, finding water and food. At The Human Path, all of these subjects are divided into 4 programs: The Provider Program, The Off-Grid Engineer Program, The Scout Program and The Herbal Medic Program. Another known name is the founder of The Pathfinder School. Dave Cantebury also co-starred Dual Survival and uses his own experience to create a three-day class that places its participants in simulated emergencies where they’ll need to use different survival skills to navigate, find water and many others things. The price of these classes is around $400. Tom Brown is not a strange name in the survival training world. Tom Brown Jr.’s method has served as reference for many other survival schools. At The Tracker School Tom Brown offers a variety of one-week courses to learn the basics of survival with methods that are all about connecting with natural environments instead of making their participants go through unusually harsh conditions. With almost 20 years of experience on bushcraft, wilderness and survival training, David Cronenwett heads the Wilderness Arts Institute, where he offers different courses for summer survival and winter survival on Montana, teaching his students how to withstand weather and trail conditions.